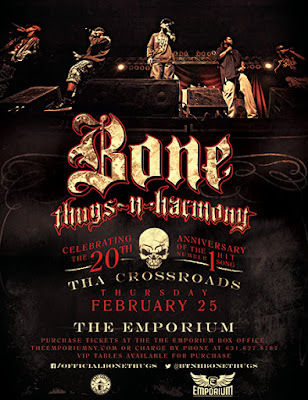 Bizzy Bone, Wish Bone, Layzie Bone, Krayzie Bone and Flesh-n-Bone will be at The Emporium in Patchogue for a performance celebrating the 20th anniversary of "Tha Crossroads." "Damn man, I miss my Uncle Charles yall!" 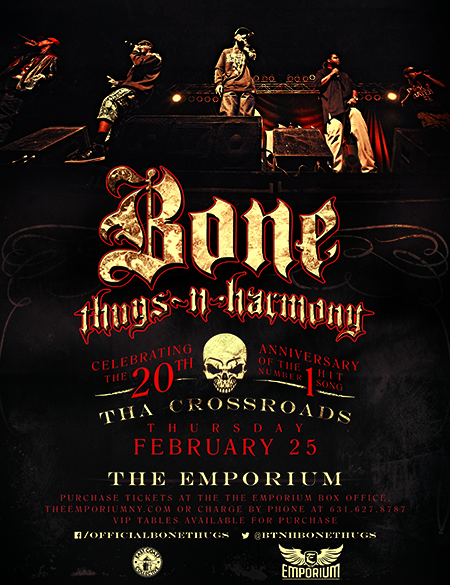 Doors will open at 8PM, the show will begin at 9PM, tickets will cost $30 at the door ($20 in advance via Ticketfly), dress codes will be strictly enforced, fast-raps will be delivered ... fast.